The long-discussed moment is almost upon us, Adventurers! Whether you’re choosing to transfer your character to a higher population server, re-rolling a new character on one of our Fresh Start servers, or participating in our server merge process, the Evolution has a choice for you. After carefully looking at the active populations of all servers, we have determined which servers will be involved in the merge process and how they will be combined. Once these servers are merged, the resulting new servers’ populations will be roughly equal to our high-population servers. I’m on an affected server! What are my choices? The Evolution is all about offering choices to you. If you do not want to participate in the physical merge, you won’t have to! All affected players will have the following three options to choose from. Option 1 – Elect to transfer your character to one of the high-population servers. If you do not want to participate in a merge of servers, you will be able to perform a one-time, free transfer of your characters to one of the servers on your region that is not affected by the Evolution. In order to transfer, you will have to fulfill certain requirements before making the move (as noted below). You will also have to sign up for a transfer on the official website between August 25 and September 4, 2015. Your character cannot be online at the time you apply for a transfer. You may come back online after the application has been completed. You may not be a member of a guild or a family. You must have all summonable vehicles and items fully repaired. Your character must be level 15 or above. You can only transfer everything in your inventory, warehouse, and equipped to your character. If you have more items that cannot fit in this amount of space, we recommend sending those items to your alternate characters and then transferring them to the same server. Players with storage chests will have to unpack their chests if they wish to transfer. We know this is a major pain point for everyone involved, but we were unfortunately unable to find a workable solution to this issue within the architecture of the game. You cannot transfer while you own any items specific to the server. Once you fulfill all of the above requirements and submit your transfer request, your character will be locked. Once locked, you will be unable to perform any action that would break one of the requirements above. All characters involved in the transfer will be sent to their new servers on September 8, 2015. When transferring to your new server, the system will automatically check to see if someone else already has your name. If your name is untaken and available, you won’t have to take any action. The system will reserve your name on the new server, and no one will be able to take it. After your transfer, you will retain the same name. If your name has been taken or is unavailable, the system will ask you to choose a new name. The name you choose will be checked and, if it is available, it will be reserved for you. Once you receive a reserved name, your character will continue under their normal name until the transfer period. After the transfer, they will be automatically re-named to the name you reserved on your new server. Option 2 – Stay on your server and be involved in the merge process. If you choose to stay on your server (or if you take no action to apply for a transfer), your characters will be involved in the upcoming merger. Once complete, your characters will live on the final Evolution server noted above (Kraken, Hanure, Nazar, Anthalon, Sirothe, or Leviathan). We will increase the max number of characters on a server to 6 after the Evolution. Items that are normally destroyed during a land demolish must be packed up into your character’s inventory or warehouse in order to prevent their destruction. We will be providing full kits to all land owners as well as an additional compensation package. The exact items that will be provided in this package are still being determined by Trion and XL. No guilds or families will be carried over to the new server. All guilds and families must be reformed after the merge. No castles will be kept during the merge. All castles must be reclaimed after the Evolution is complete. Castle owners will receive a compensation package after the Evolution. The exact items available in that package are still being determined by Trion and XL. We are still discussing with XL how name conflicts (two characters with the same name on the same server) will be handled. Once the final details of this system are set, we will formally announce them. Option 3 – Create a new character on a Fresh Start server. 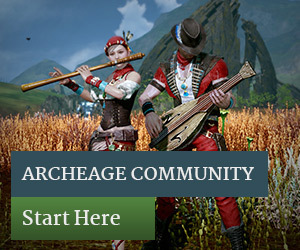 If options 1 and 2 don’t sound appealing, you will have the ability to restart your ArcheAge career from the beginning by playing on one of our brand-new Fresh Start servers. One new server will be added to each region. The only way to play on this specific server will be to create a new character at level 1. No characters may transfer to this server, and transfers will be locked out for a period of time after the server opens. We are also evaluating the use of in-game items like the Hasla Tier 2 and 3 weapons and the Lunar Scarecrow Farms available on the marketplace. These items may be temporarily removed from the game during the release of the Fresh Start servers. These plans are still being discussed and are not final. Important: Fresh Start servers will still count towards your maximum character limit. If you do not have enough character slots to create a new character, you will be unable to play on one of these servers. Make sure you have enough slots open before we begin the Evolution process in mid-September! For players in North America: Your Fresh Start server is Morpheus. For players in Europe: Your Fresh Start server is Rangora. September 4: Server Transfer Signups end. No further transfer requests will be taken after this date. All characters on affected servers must be locked in at this point, or they will be involved in the server merge. September 8: All transfers will be processed at this time. It is currently our plan to take the game offline at some point during this day as we process all of these transfers (in order to ensure they operate smoothly). These plans are still subject to change. Mid-September: ArcheAge North America & Europe will be taken offline to begin the server Evolution and Auction House cluster changes. This work will take approximately 2 days to complete. At this time all servers will have their character cap raised from 4 to 6. 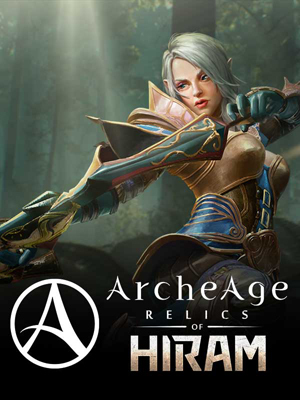 XLGAMES developers and the Trion ArcheAge team will be gathered together in Austin, TX to oversee the work. The exact date for this release is still to be determined. We are working to ensure that the game will be re-opened on a Saturday, so you have the best chance to play the game without taking a day off from work. After the 2-day maintenance period, the game will be open with our brand-new Evolution servers and Fresh Start servers! How is the Auction House shared across these new servers? Q. Will Auroria be available at launch for Morpheus and Rangora? Yes, Auroria will be available. We are still determining if castles will be immediately available, or if they will be subject to a temporary lockout. Q. How will you curtail land abuse when Morpheus and Rangora open? We will be monitoring both servers closely. Anyone who abuses an exploit or uses a “land hack” will find their house swiftly demolished, and their account will receive a punishment determined by the Customer Service team. Don’t do it! Additionally, our normal land rush rules will be in effect after the Evolution. You may only have two unbuilts per account at any one time, and the other rules will apply as well. Q. What will you be doing about players who are stockpiling Credits and Labor to take to Morpheus and Rangora? Items that are stored on an account level (such as Credits and Labor) can be taken to any server – that includes Morpheus and Rangora. We are unable to pick and choose which servers they can be taken to. But, we are considering disabling certain items from the Marketplace during the launch period. While we do not yet have a final list for what items will be included, that list will most likely include disabling the Lunar Scarecrow Farm. Any items disabled on the Marketplace will be disabled on all servers, not just the Fresh Start servers. Trion and XL are also considering removing the crafting recipe for the Tier 2 and Tier 3 Hasla Weapons during the launch period. Players on the Fresh Start servers will not be able to immediately take advantage of these items during launch. Again, any items that are disabled will be disabled on all servers, so these weapons will not be available for a period of time after the Evolution is completed. We will announce when any affected weapons and designs will return once a date is officially set. These plans are still being discussed and are subject to change. Q. When will we be able to transfer to Morpheus and Rangora? We have not yet set a date for when we will open transfers to Morpheus and Rangora. However, we do want to preserve those servers for new characters for a period of time, to allow players to re-experience a server launch. Q. After the merger, how long will my items last? There is no limit for anything you are wearing, anything in your inventory, or anything in your warehouse. We are still investigating how long items that are returned to you will last. Q. Can you add in a server that enables PvP constantly? It’s a neat idea and something that has been brought up in the community multiple times, but it’s not something we are pursuing at this time. If you want to see something like this, make sure to speak up and let us know! Q. I’ve heard that guilds will be capped to 100 people in Update 2.0. Is that true? Guilds that are level 1 or 2 will have no cap on how many people can be a member. These guilds cannot participate in guild vs. guild conflicts, and cannot have an advantage over another guild. 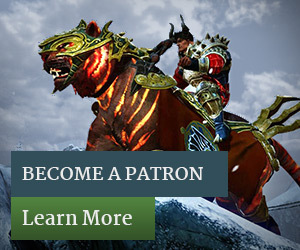 In order to level up, the guild leader must actively choose to level their guild and begin the progression towards the Guild Conflict system. We would recommend that guilds that are social, casual, or roleplay-focused (and do not wish to participate in Guild Conflicts) keep their guild at level 1 or 2. Guilds that are level 3 or above will be subject to the 100 player cap. These guilds will have made an active choice to participate in the Guild Conflict system and will have to reduce their membership to 100 players or less. We are still in discussion with XLGAMES regarding how the guild cap will work in our version of ArcheAge, so the above plan is subject to change. Q. If our guild owns a castle during the Evolution period, what happens to our castle? Will we be compensated? As noted in the information above, you will not be able to retain ownership of your castle after the Evolution. All guilds must reclaim their castles once the servers re-open. However, we are looking into providing all castle owners with compensation packs. The items in these packs are still being determined. Q. I have a house on Diamond Shores, what will happen to my home? Regardless of your server, if you possess land on Diamond Shores, your land will be demolished after Update 2.0 due to the upcoming revitalization of the area. While your house will be destroyed, you will be given a full kit for what you lost and you will receive a compensation package similar to those from the Freedich Isle changes. The exact contents of the compensation package are still being discussed. One of my questions wasn’t answered! Where can I ask it? If you still have more questions, we want to be sure to answer them! Together with XL, we will be answering all of the questions you may have on Update 2.0, the Server Evolution, and more on a weekly basis. Simply stop by our brand new “Ask XL & Trion” thread in the official forums, and ask away! We’ll be publishing the answers to your questions on Tuesdays and Thursdays, so keep an eye on the website for an official response. Discuss this announcement on the official forums!